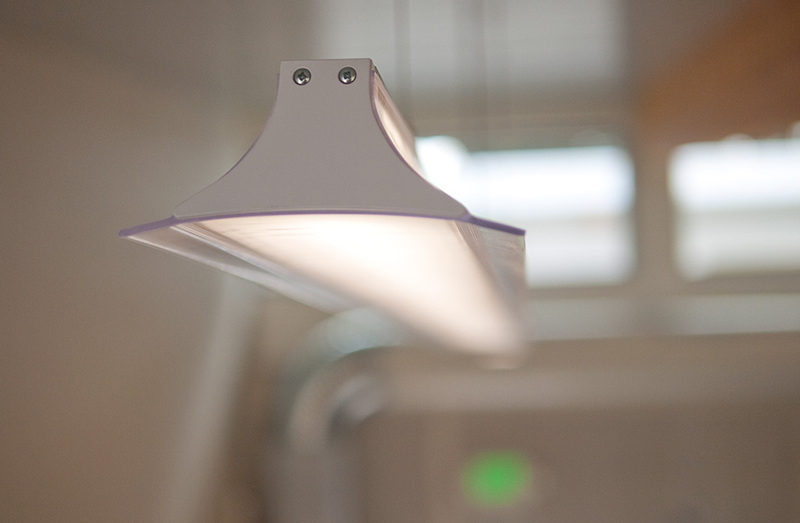 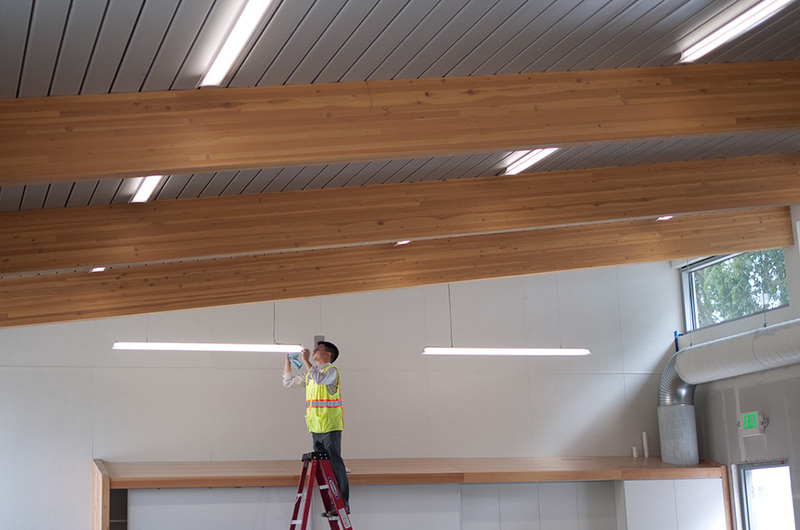 At Project Frog I worked on the development of custom LED light fixtures to compliment the lighting performance of our classroom buildings. 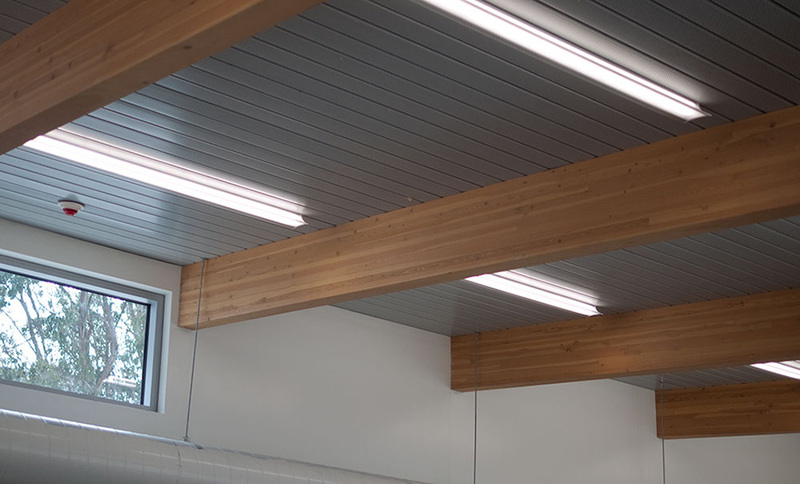 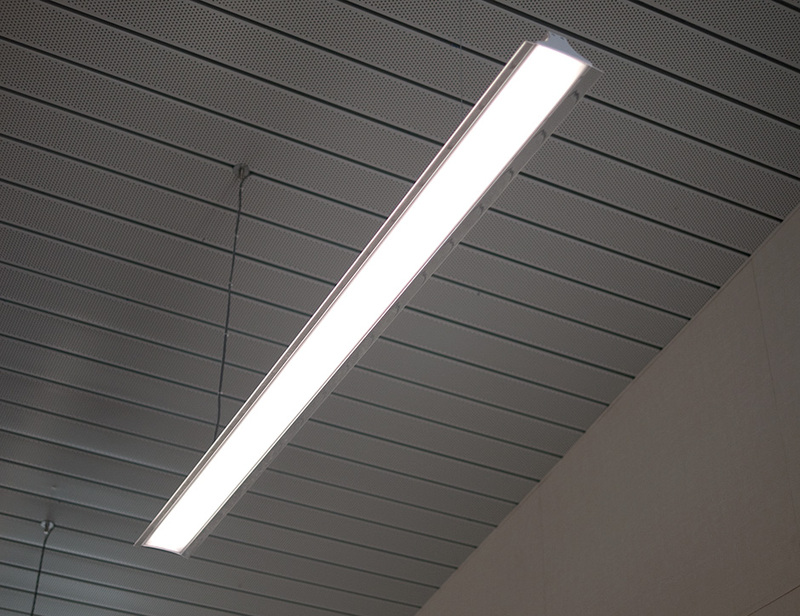 One of the key features of this light was that it included an attachment system that integrated with the acoustical decking system specified in our building design. 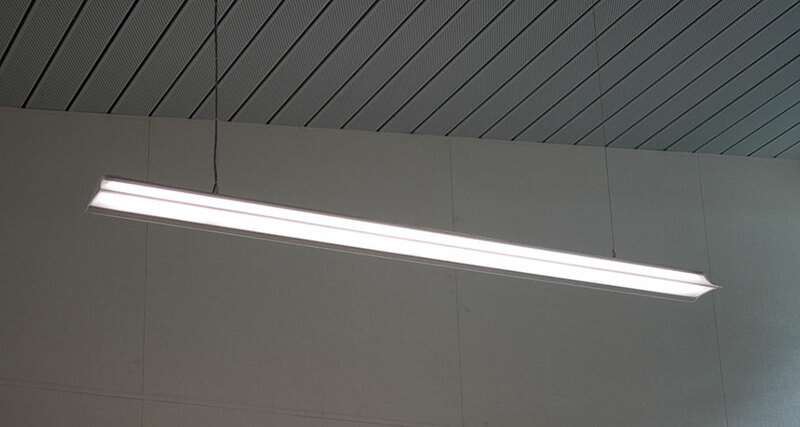 The combination of the attachment system and a modular DC power supply enables these lights to be installed by anyone on the construction site (only requiring an electrician to plug in the final connections at the breaker box).